Since Facebook and Instagram play a vital role in many brands’ marketing strategies, how could the company’s use of blockchain-based solutions affect marketing and advertising? That question arises following news this week that the social giant has hired the team behind UK-based blockchain startup Chainspace, which was reportedly working on a smart contracts platform. Reports indicate Facebook’s interest is in the team’s expertise rather than the specific technology. Most of the employees will join Facebook’s existing 40+ person blockchain team, led by former PayPal exec David Marcus, which reportedly has been looking into the creation of a cryptocurrency for its WhatsApp messaging mobile app. Although hyped for curing many of the world’s ills, blockchain is settling into a few kinds of practical solutions: as a decentralized and shared ledger for permanently tracking all kinds of activity; as the generator of “smart contracts,” which are software that automatically trigger a digital outcome once conditions are met; and as the framework for creating and managing cryptocurrency, which are digital forms of payment that may or may not be tied to traditional currency. 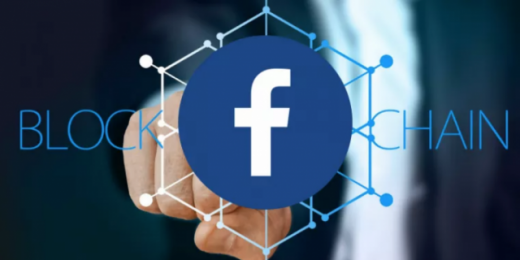 To get ideas about possible marketing or advertising impacts from a blockchain-enabled Facebook and how the company might deploy blockchain in its systems, we checked in with several experts at the intersections of blockchain, marketing and advertising. As with any good speculation exercise, there were differing viewpoints. McGraw doesn’t think Facebook’s blockchain efforts would “have any impact on marketers and advertisers.” His reasoning: the emphasis seems to be on cryptocurrency, probably for their messaging platforms, and this form of payment wouldn’t directly affect ads or other marketing. And Adam Helfgott, CEO at blockchain-based ad network MadHive, thinks the addition of blockchain to the Facebook ecosystem “can be a good step toward a more secure, more accountable” environment for user privacy and ad authentication. Crypto for payment options, gaming, incentives? Like McGraw, Cacciapuoti expects the blockchain-based focus to be on cryptocurrency payment, which she notes will provide more payment options for Facebook users, just as money transfer features were added to WhatsApp and Messenger in 2017. Those kinds of additional payment choices, she says, would not directly impact marketing and advertising. But the addition of cryptocurrency to the Facebook ecosystem, Gartner VP and analyst Andrew Frank suggested, might be used first in the social platform’s games and not simply as another payment option. This would provide Facebook and game developers with more control over their gaming environment, and could directly affect how marketers of games develop campaigns to increase game play. This is becoming a frequent use of platform-based cryptocurrency, where platform users are automatically rewarded with digital tokens when they do some activity. Shopin, for instance, is a shopping platform where retailers provide digital tokens to encourage brand loyalty. Another example is Warsaw-based influencer marketing firm indaHash, which pays influencers with its own cryptocurrency. Gartner’s Frank also sees two blockchain-fueled authentication opportunities for Facebook, if they so choose. One opportunity could be a solution to Facebook’s disinformation problem. In the 2016 US election, Facebook users were targeted for a mass campaign of disinformation by Russian intelligence services. Although the social platform has vowed to combat this onslaught of fake news, it is a giant undertaking. Frank suggests that blockchain, as a distributed, permanent and shared ledger, could be employed to permanently verify the origin of any content. This utilization to determine provenance is already being employed, for instance, by Walmart to track food from the farm to the store. Just as an egg can be verified as coming from an authenticated farmer, Frank suggests that sources of Facebook content could be required to track their sources via a blockchain ledger. For example, a camera taking a news photo in the field could upload a camera-generated certificate to a blockchain ledger, when the photo is first taken. The certificate might be time stamped and linked to the photo, and the blockchain ledger would be permanent and accessible to anyone with a browser. Similarly, textual stories could be certified on the blockchain from their point of origin and include a certificate and digital fingerprint by, say, the Associated Press at its verified newsroom. Frank adds that startup Ambervideo.co has initiated a similar service, plus content verification could also help Facebook track copyrights. Help brands manage copyright, user consent issues? While a misuse of intellectual property is not a marketer’s prime job function, marketing teams do track the copyright status of material they use or own. And marketers of news services, as well as product marketers, are alert to counterfeit uses of their products and ads. It seems inevitable, for instance, that the emerging wave of “deep fake” videos — which show realistic but false video scenes — will someday make suspect any kind of video content on Facebook, including any brand video — unless there is some kind of authentication. The other blockchain opportunity, Frank said, is that Facebook could employ blockchain-generated smart contracts to track users’ consent of various personal data. Both content certification and user consent can be tracked in other ways, he acknowledged, but blockchain technology offers a permanent, decentralized ledger and a framework for smart contracts. 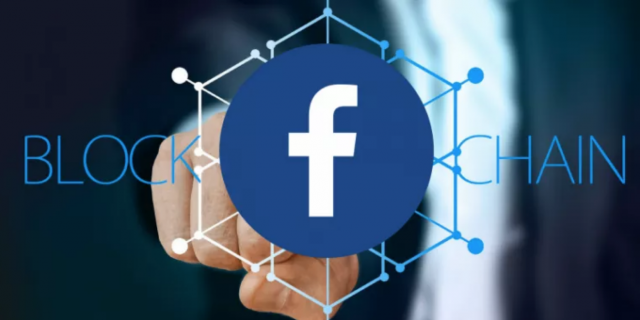 Although Facebook has indicated an interest in using blockchain for cryptocurrency, it clearly also has reasons to employ it for other solutions, including ad transparency, user consent tracking and content validation. But, as a walled garden of more than two billion users, Facebook doesn’t have a direct competitor driving its actions, so those outside the wall will just have to see what it decides.